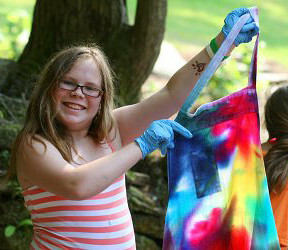 The visual arts at Rockbrook offer girls tremendous opportunities to explore arts and craft activities while at camp. 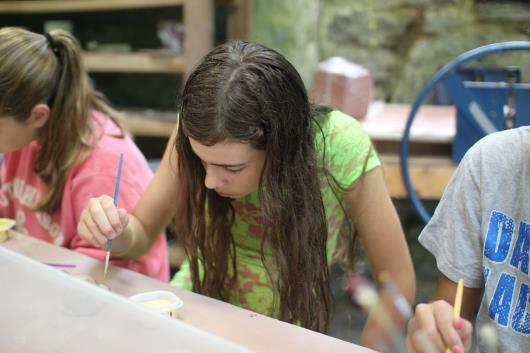 With projects that include ceramics, fiber arts, painting, drawing, leatherwork, needle point, beadwork, jewelry making, and more, Rockbrook is a true art camp. Girls enjoy working on arts projects every day and by the end of their session, they have a vast collection of cool creations to bring home and keep as mementos. Rockbrook girls are always creative and always making something! 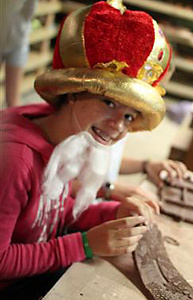 Hello there friends, Emily the assistant director of pottery here at Rockbrook! As camp draws to an end, we are busy loading and unloading kilns. During this last activity rotation, there isn’t enough turnaround time for the girls to take home the pieces that they make. Instead, we are making group projects (like a collection of mini animals that will decorate upper pottery and large coil pot planters that will be filled with beautiful floral creations). 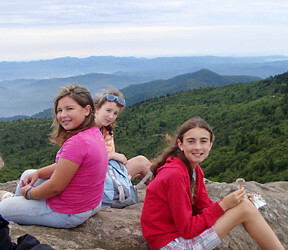 The girls really enjoy leaving a piece of themselves behind at Rockbrook – they feel like they are part of something bigger. 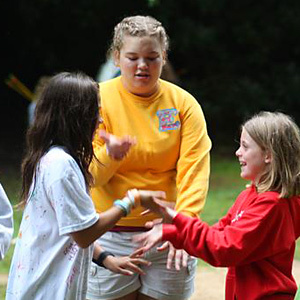 In fact, everyone at Rockbrook is part of something bigger – all together, every smile, counselor, dip in the chilly lake, skinned knee, hug, squeal, and camper join together to form the spirit of Rockbrook. One striking part of this spirit is the drive that the girls put into their activities. 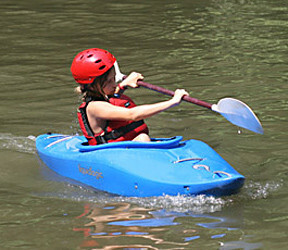 Since the girls get to choose their activities, they are very eager to learn and participate. I get such joy when girls sign up for pottery for more than one activity rotation. Soon, girls that have been pottery regulars can pipe in during class to remind their friends to slip and score the handle onto their mug so that it stays. We do a lot of handbuilding, but the activity that the girls love the most is going on the wheel. I have had a handful of girls that have become so invested in throwing on the wheel that they have signed up every rotation period. Now, throwing is much more difficult than it looks, and I always tell the girls that throwing is still fun whether you get a beautiful bowl, or a silly looking pile of flopped clay. We want the girls to feel accomplished with their pot that they make on the wheel, so they do (almost) every step on their own. After we center their clay for them (just because it is too difficult for beginners to learn!) they do everything else on their own, the opening, widening, pulling up of walls, and shaping of the pot. My dedicated wheel throwing girls have progressed so much this session. They started with half pound balls of clay. Each time they came back, they requested heavier balls of clay. They finished out the session throwing almost three pounds of clay with minimal help! 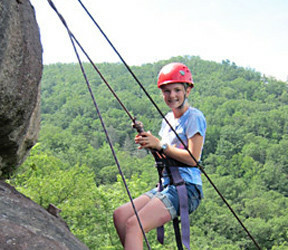 At camp, the girls are able to come into an activity with no knowledge, and if they have the desire and dedication to keep signing up for the activity, they walk away with a new skill. 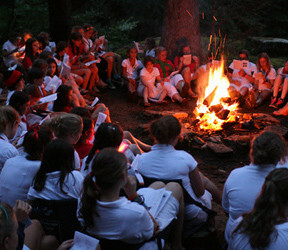 So parents, when your campers return home so soon (too soon!) be prepared to hear stories of crazy camp antics, their favorite muffin flavors, and facts about their new friends, but also get them to tell you what they made and what they learned. 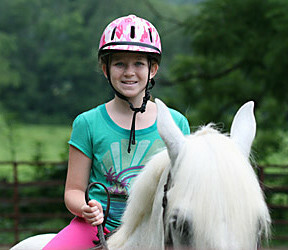 Encourage them to keep working on their new skills, and to hold onto their drive and Rockbrook spirit. 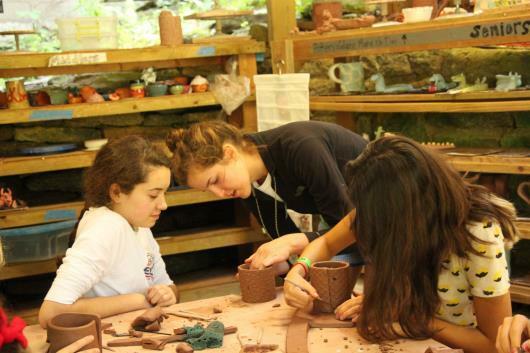 In addition to all of the clay vessels we make at camp, the cups, bowls, trays, dishes, pitchers and so forth, another fun part of the Rockbrook ceramics program is making sculpture. This means using the same hand building techniques, and even wheel-thrown pottery techniques, and combining pieces to build three-dimensional objects. 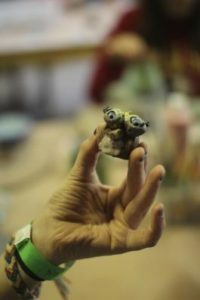 One important technique to learn for clay sculpting is using something called “slip.” Slip is a form of liquid clay, or a runny mixture of clay and water. It can be used a number of ways, but when building a clay sculpture, slip is applied to join two pieces of wet clay together. 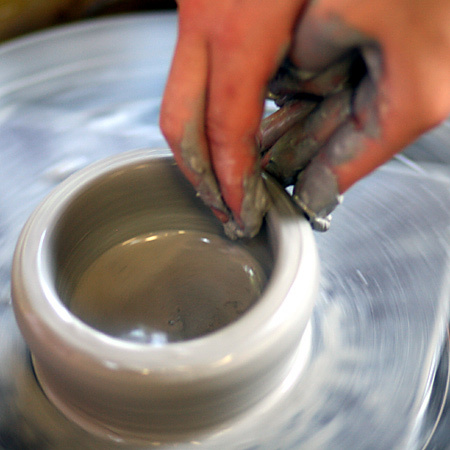 For example, you might want to connect a coil to a slab, or a dome shape to something turned on the potter’s wheel. The slip acts as a sort of glue helping the pieces stick together. So what kinds of things can you sculpt out of clay? Anything your imagination might dream up! Recently at camp we’ve seen some great representational figures— fish, horses (of course! ), turtles, snakes, and other animals. The campers have also made amazing human forms like faces and hands. Natural objects like leaves, ferns and branches make great textures to be incorporated as well. Need some other ideas? Here’s a great web site with links to amazing examples of sculptural ceramics. 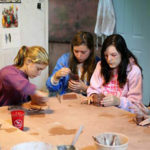 Seeing what the Rockbrook girls are sculpting in our pottery classes, it’s easy to be amazed, and to understand why this arts and crafts activity is so popular at camp. 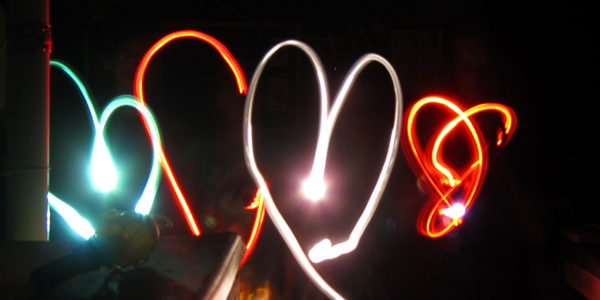 Did you know you can paint with light? You can! 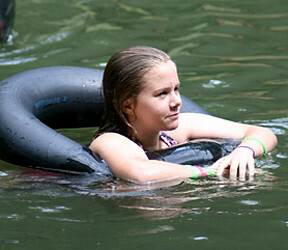 And, the girls taking our digital photography class last summer at camp gave it a try. It’s not really hard. You just need a very dark room, a flashlight, a tripod for your camera, and your imagination. The technical part is easy too. Just set your camera, while it’s steady on the tripod, for a long exposure. Then while the shutter is open, you move the flashlight around as a paintbrush. What better way to learn weaving than making a woven potholder at summer camp!? You take simple tools– a square weaving frame and crochet hook –and a bag of colorful cotton or wool “loopers.” After a short time learning the basic idea, you’ll be weaving. And the technique is easy too! First you select colors of loopers and stretch them across the frame to form the “warp” of the project. 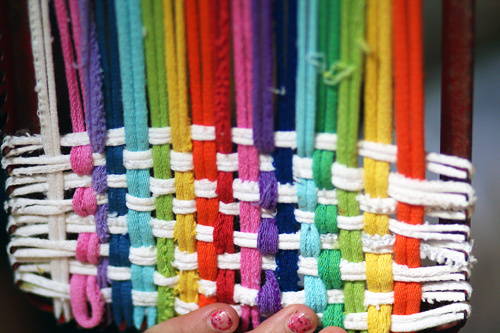 In this photo the warp is the different colored vertical strands. Then you weave another looper, alternating over and under each strand of the warp to form the weft. Adding one (in this example, white) looper at a time, and alternating which strands go over and under, a dense colorful pattern begins to form. As you add more and more loopers, you’ll probably need a long crochet hook or other wire hook to pull the last couple of loopers into place. This is real weaving. Sure it’s a simple example, but that’s good when you are just beginning to learn. 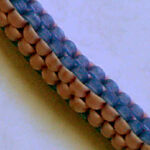 The next step is varying the colors and weaving pattern of the strands. There are even different shaped frames to make things even more interesting. We also like starting with these potholder weaving projects because they don’t take too long to finish. 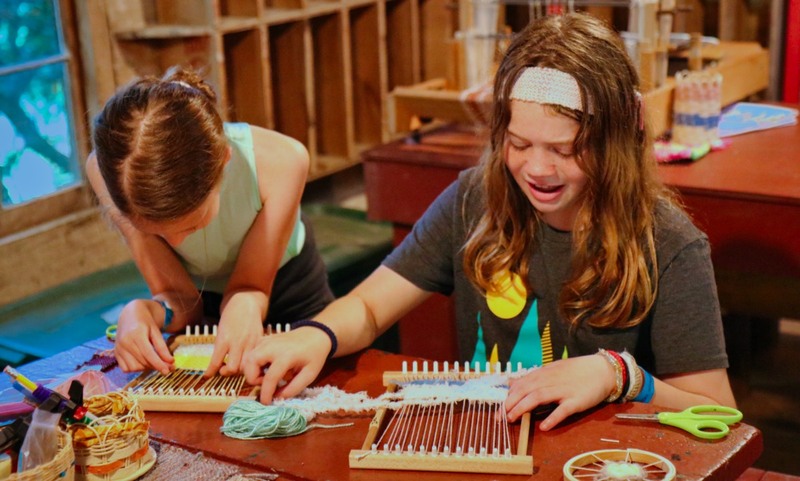 With the basic concept of weaving understood and practiced, campers can move on to one of the tabletop looms or even the wide floor-standing looms for their next, larger and more complicated, weaving projects. 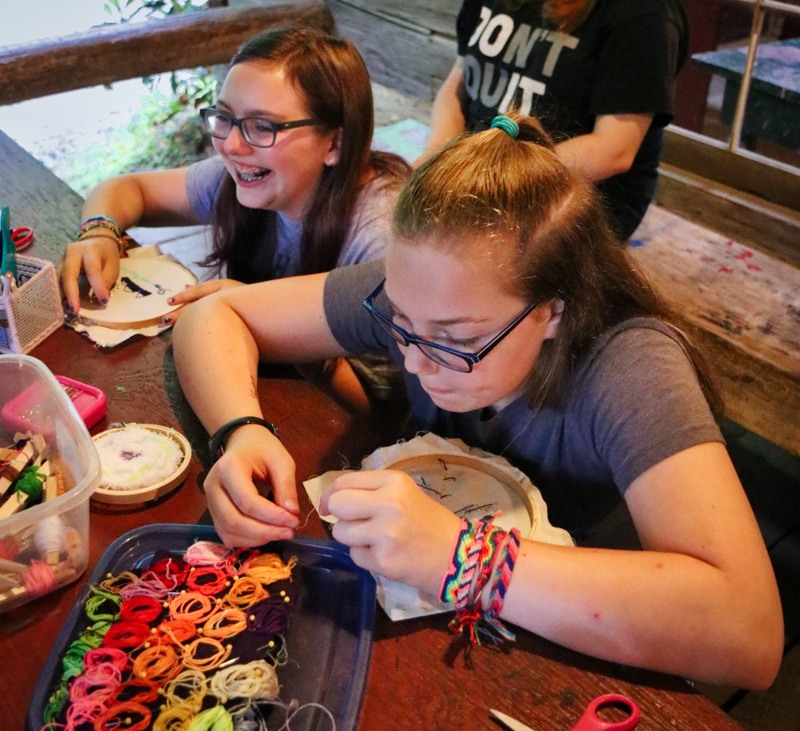 Down at Curosty, the fiber arts activity cabin at camp, Rockbrook girls are learning to weave! One of the ceramics hand-building techniques we teach in Rockbrook pottery classes is extruding. This involves creating clay forms, or consistent shapes, by pressing clay through an extruder, a simple hand-powered machine. An extruder is really a piston of sorts operated by a lever. On one end of the piston’s cylinder is a wooden or metal plate called a die. Different dies have different shapes cut out of them. The whole thing works by filling the cylinder with clay, and pulling the lever of the extruder, thereby forcing the piston to push the clay through the die, and out in the shape of the cutout. It takes muscles to pull that lever, but it’s so cool to see the extruded clay come out! Some dies extrude circular tubes, but there are also square, hexagonal and octagonal tubes as well. You can extrude slabs, coils and even half-spherical shapes. Extruders are great at making long, even forms of clay. Of course, these shapes then can become the building blocks for more complex hand-building projects. 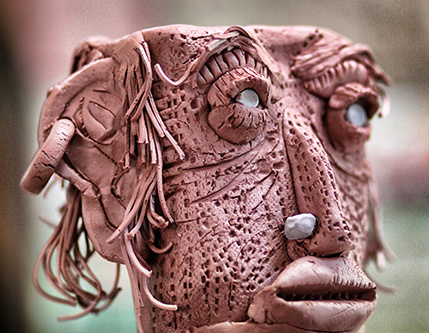 Extruded clay can be combined to make really complex sculptures, for example when extruded tubes are cut at different angles and joined to make multi-sided vessels. And don’t forget glazing and firing these pieces. 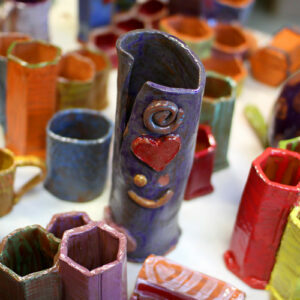 Like all the pottery and ceramics projects at camp, the results are beautiful! Yep, at Rockbrook, we do extrude. Graphic artist Amanda Vissell has done it again and drawn four more super cool posters especially for girls. 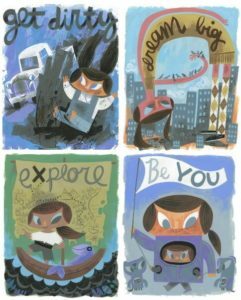 Each has a simple declaration and shows a girl smiling with great confidence and independence— “Explore,” Dream Big,” “Get Dirty,” and “Be You.” Click the image to see a larger version. I got down to basics a little more this time, imagining what we all need to see when we wake up in the morning. To know its not just okay to be who we are, but when we are ourselves we shine. We love these posters because they line right up with camp, with the kind of encouragement and empowering experience time at Rockbrook provides our girls. Around here, we’re always exploring, creating something, dreaming up something imaginative. It’s just part of our daily life in the summer to be outside and get a little dirty in the forest. And perhaps most importantly, Rockbrook is a place where girls can relax and find the freedom and support to be their true selves. It’s where they can uncover hidden talents and admirable aspects of their personality. 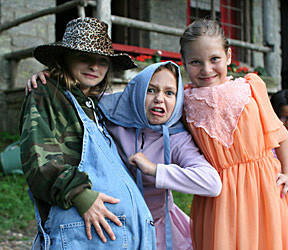 Camp is a magical place because, at least in part, it makes all of these possible. Ready to explore? Let’s go! There was a little bit of Potter Mania at Rockbrook today. Marking the release in theaters of the final Harry Potter film, we decided to decorate RBC in all things HP. We of course had plenty of campers and counselors dressing up as characters from the series— lots of maroon and gold, green and black stripes, Harry Potter shaped eye glasses, and lightning bolt shaped scars (drawn with dark eye liner or paint) on dozens of foreheads. 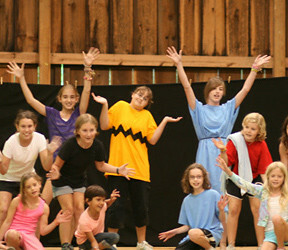 Some of the campers clearly planned for this day because their costumes included more elaborate hats, capes, wigs and make up. Girls were decorating magic wands, and carrying them around, would shout out spells now and then with a sly giggle and in their best English accent. Several of the counselors and the Hi-Ups really pulled out the stops by decorating the dining hall like the Great Hall of the Hogwarts Castle: Gryffindor, Hufflepuff, Slytherin, and Ravenclaw, all represented. The equestrian staff even put together a game of Quiddich for the girls, keeping the theme going. This involved riding around a series of cones and, from atop their horse, trying to toss a small ball through a hula hoop at one end of the ring. The whole day was very imaginative and fun. 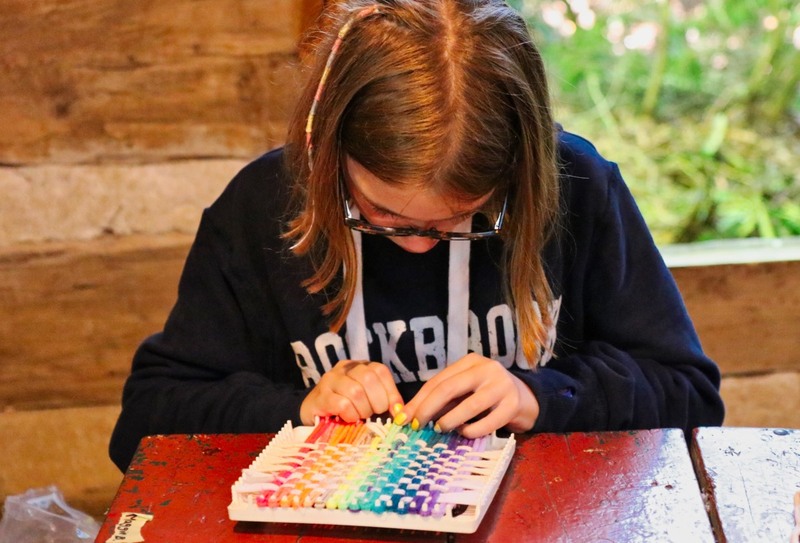 You may have noticed this from checking the online photo gallery, but one of the neat things about life at Rockbrook is how much time the campers here spend doing things with their hands. Everywhere the girls are making things, building things, and decorating things. All of the arts and crafts activities are examples of this (weaving, painting, sewing, ceramics, etc. 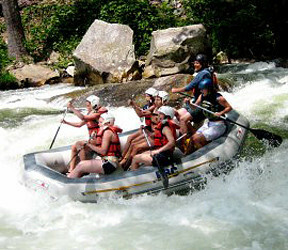 ), but so are the adventure activities (climbing and paddling, e.g. 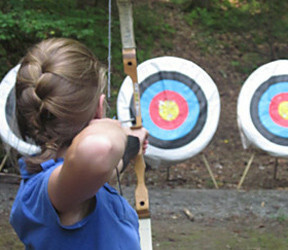 ), the sports (archery and riflery, e.g.) and even the horseback riding. These girls are working with all kinds of physical materials, manipulating, shaping and arranging real, not virtual, things. They are, in this way, connecting to the physical world, often to nature, and to their own sensations and feelings. What’s important about this “hands on” experience central to camp life is how much the girls really love it. This may be because the rest of the year lacks the same opportunity for kids to do much with their hands, and it’s simply novel and fun, but it could also be because camp is feeding a hunger. Perhaps kids need chances to work with their hands, to make things, to forge real connections with the physical world, and modern life, with its pre-processing of almost everything, is making “hand work” (working “by hand”) less common. The manual character of camp is satisfying an important need kids don’t even know they have. Instead, they simply know it’s really fun, really satisfying, to make stuff, whether it be a clay pot, a tie dye t-shirt, or even a magic wand. Maybe, we as human beings need this kind of manual experience, and we’ve forgotten it. Thankfully, there is camp to remind our children! As they grow older, we can hope they’ll remember the satisfaction they gained from working with their hands at camp. If so, I suspect they’ll be happier. Originating in France and popular even today at summer camps worldwide, it’s what we call a lanyard. Did you know that “Scoubidou” (pronounced in your best french accent) is its original name? They’re called “Scoubies” for short, and can refer to either the colorful plastic strands used or the final project of repeated knots. Sometimes, when the material is braided, it is called a “Boondoggle,” a name that appears to have come from the boy scouts and their tradition of braiding a ring of leather straps to hold a neckerchief. This lanyard material is also referred to as “Gimp,” following the name for twisted treads (usually silk, cotton or wool) used as decorative trimming on dresses. Our familiar lanyards have quite a history! The world record for the longest Scoubidou (Boondoggle, Gimp, Lanyard) is held by Manuela Dos Santos of Brancourt, France. On November 11, 2008, she finished her Scoubi— 1,673 feet and 2 inches! An amazing project. It makes us wonder if the strands she used were single long pieces or sections tied together. Coming to one of Rockbrook’s camp sessions is a wonderful opportunity for kids to learn about ceramics. Instead of just “painting pottery,” where you apply glazes to pre-formed ceramic pieces, we start with real clay. It’s really one of the most satisfying parts— to start with a lump of what’s essentially soft, smooth mud, and learn how to change it into something beautiful and useful. There are lots of ways to do that too. You might simply pinch and press the the clay to form a cup, for example, or you might first roll the clay into a long, snake-like coil which can then be stacked to make a dish of some sort. It’s a little more advanced technique, but you can also center a ball of clay on a spinning platter (“the wheel”), and shape it into a symmetrical bowl or cup. This is sometimes referred to as “throwing a pot on the wheel.” It’s almost magical to see. From the lump of clay, you carefully pull up the sides of a beautiful vessel. 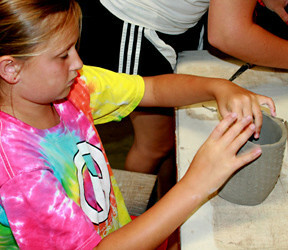 These building techniques are just the beginning of what kids learn about ceramics while at camp. They also understand the complete process of drying what they make, glazing their pieces, and ultimately the finished results after firing everything in a kiln. Every summer ceramics is a hugely popular activity with the kids at Rockbrook. When you see what they learn, what they end up making, and how much fun they have doing it, you can see why!